The Waterways GardenThe Waterways comprises of the Venetian Waterways, the Ornamental Gardens and Boating Lake. Located just north of Great Yarmouth’s Golden Mile, the Waterways has been a popular visitor attraction for generations, enjoyed by local residents and tourists alike. On the Venetian Waterways side of the park you will find winding canals snaking their way through the site crossed by bridges, which allow you to leisurely wander around the interlinking walkways and islands. These areas are perfect for a leisurely afternoon taking in the views of the gardens and ornamental features, whilst enjoying a picnic. A haven to wildlife, including duck and heron, the park is great for exploring and learning at the same time, with information boards and a trail scattered throughout. If you up for something a bit more adventurous than the Boating Lake is the place for you. Situated on the North side of the park, the vast lake has boats and pedalos for hire. The boats are excellent for families or parties up to five people to take out on the water, while the pedalos are ideal for twos. The onsite café offers the perfect location to overlook the lake and enjoy a spot of lunch or afternoon tea. The Waterways comprises of the Venetian Waterways, the Ornamental Gardens and Boating Lake. 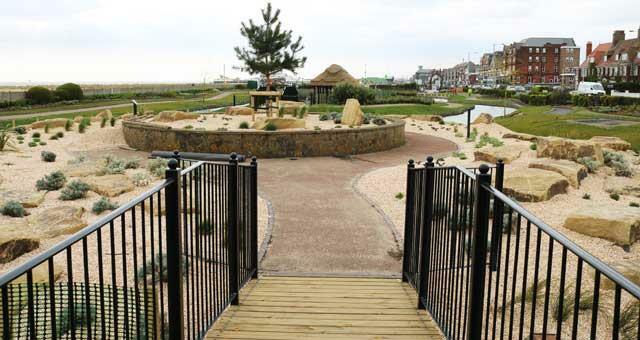 Located just north of Great Yarmouth’s Golden Mile, the Waterways has been a popular visitor attraction for generations, enjoyed by local residents and tourists alike. The park runs alongside North Beach, which itself and dunes form a part of a larger designation of international importance to nature conservation, and are home to little terns during the spring and summer months. 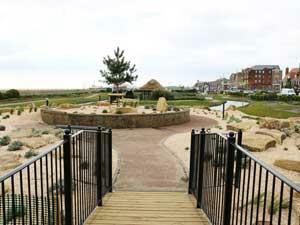 On arrival in Great Yarmouth follow signs for the seafront taking a left turn at the mini roundabout onto North Drive. Proceed along approximately 200 yards and The Waterways are located on the right, adjacent to the beach.